Although traditional signage accounts for a large percentage of our projects we do also get a chance to work on different things from time to time. 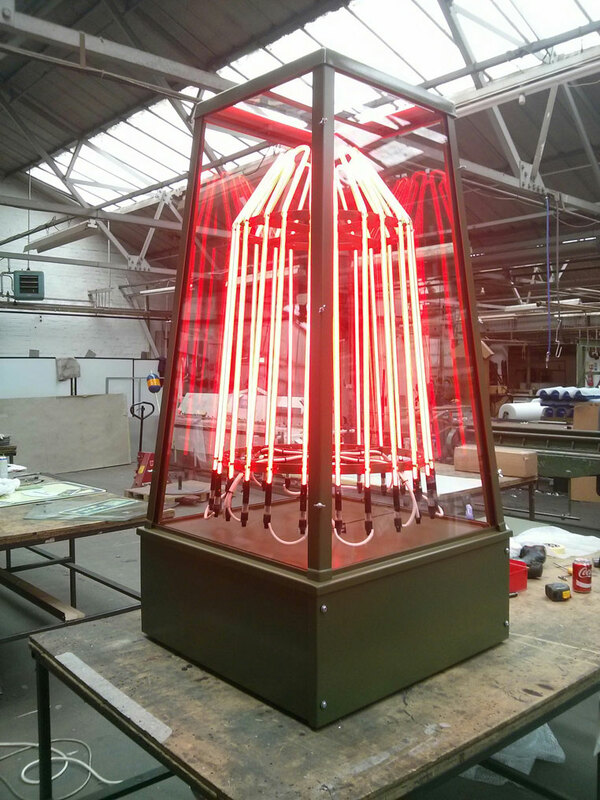 For instance below is one of several airport beacons we manufacture for the military and civilian airports. These come in various colours and communicate a range of flash patterns which means a mass of various electronic components are present inside this unit. High tech stuff but we love a challenge.